a super easy, super affordable and not to mention a super cute Autumn treat idea! 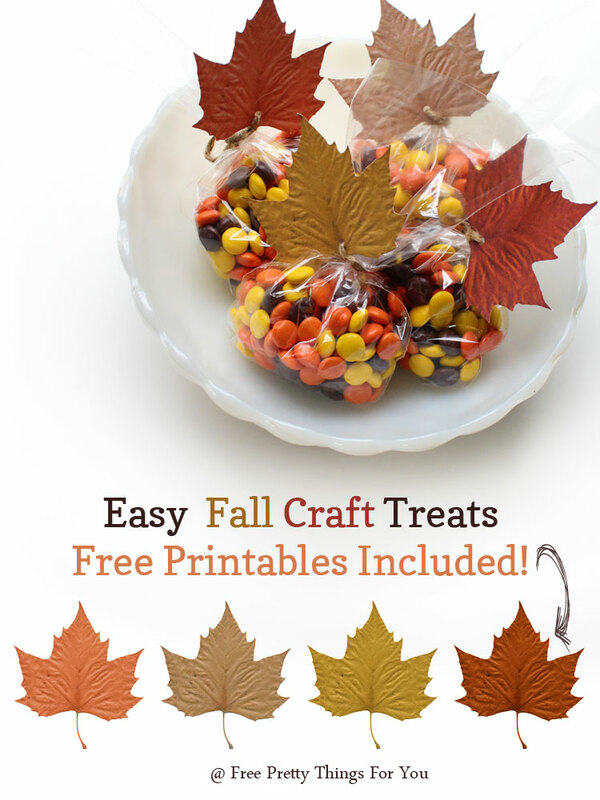 As you can see I just used clear treat bags, jute string, Reese’s Pieces and the fun free leaf printables I created for you. When you put them all together, they make an incredibly easy and festive treat ready to welcome my favorite time of the year! 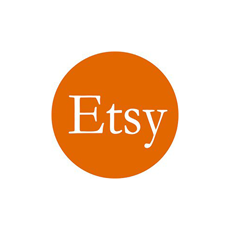 :) These could also be used as place cards, name tags or even be used in a fall or Thanksgiving buntings! 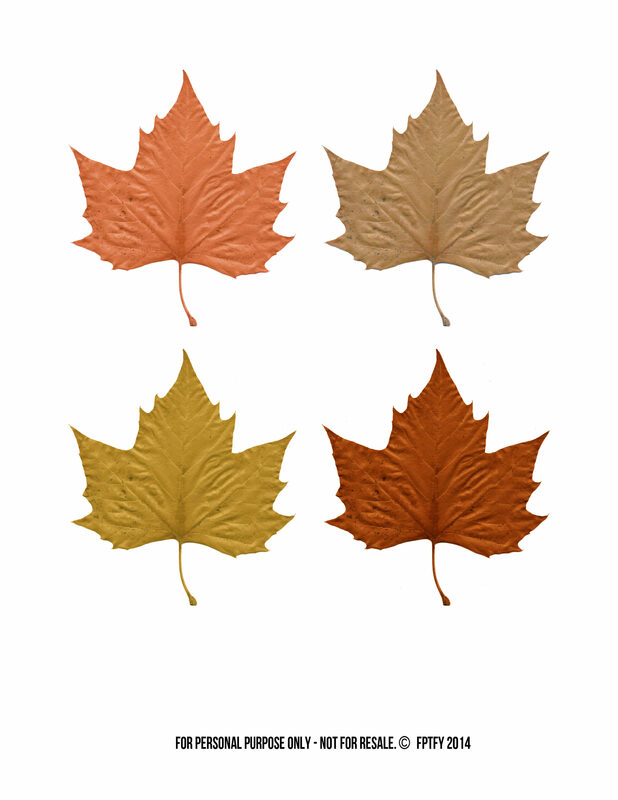 Click here for leaf printables! Thanks so much! Those are really nice. Hi Keren Thx so much for these gorgeous leaves, one of my favorites. The colors of Fall really appeal to me, always have, rich jewel tones. Am a little slow to get Fall decorating going this year, been pretty hot here. How about where you are? Finally got out big jar of Fall colored acrylic leaves, pumpkins, acorns out to put in jars, glass lanterns. Need to make a garland, but first better clean our bathroom. Have great week and thx for all great printables you share with us.